This week, we are celebrating our friends across the pond! Here are 8 gorgeous patterns from 8 fabulous designers from the United States and Canada. Elena Nodel is a Canadian designer who lives in British Columbia. Her intuitive and clever designs avoid seams by knitting in the round, and frequently from the top down. This gorgeous summer cover up is available in sizes from XS – XXXL and uses between 850 and 1646 yards of 4 ply yarn, depending on the size you’ll be knitting. She hails from Ottawa in Canada and is well-known for her contemporary and fresh designs. With an eye for design and fashion, Megan Goodacre designs knits with a little bit of that extra something. This slouch hat is available in 2 different versions with varying slouch depths. It starts off with ribbing and graduates to totem pole lace, a traditional stitch pattern. Another talented knitwear designer from British Columbia, Jenny Faifel has intuitive and innovative designs that will make you want to raid your stash. this loopy shrug pattern is designed to fit across a back that measures 79 – 99.5 inches from armpit to armpit. It combines the practicality of a shrug with the casual coolness of an oversized infinity scarf! This American designer lives in the state of Maine and designs practical garment and accessories with a mind for versatility and contemporary lines. This sweater has raglan sleeves and is knitted in the round from the bottom up to mimic a traditional design with a modern twist. If you want to learn more about Bristol Ivy, click here to read our exclusive interview! Laura Aylor lives in Virginia, designing knitwear that amazes even the most seasoned knitter. This simple shawl is knit almost entirely in stocking stitch, using a thin 1 ply yarn on large needles to obtain a light, gauzy fabric that’s perfect for warmer weather. It’s knit from the bottom up, which is perfect for those of us with shawl fatigue. This gorgeous lacy scarf is knitted in laceweight yarn and features eyelet designs that are frequently seen in Islamic art and the architecture of Andalusia and Spain. Anne Hanson lives in Ohio and has a mind for fashion, design, architecture, and charity. This pattern is available to fit the whole family, with 7 child sizes and 10 adult sizes! This Canadian design team is made up of two brilliant designers: Emily Wessel and Alexa Ludeman. These two friends, separated by distance, maintain their friendship through their love of knitting and designing. Based in the Big Apple of New York City, Kirsten Kapur designs gorgeous and funky shawls that will turn any yarn crafter into a serial shawl knitter. This shawl is worked from the center top outwards to the bottom edge, and the lace border is worked in one piece with the body of the scarf. Love this post? 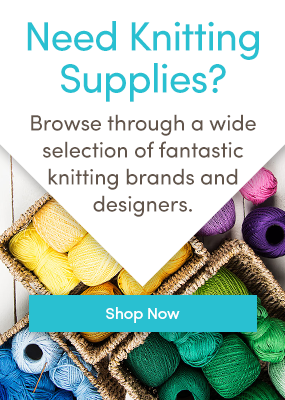 Follow the LoveKnitting blog on Bloglovin! You’ll get an update whenever we post something new, and you can decide how often you get an update. Click below to check it out!